With $10 million in annual sales, Linjer is winning over customers with beautiful, accessibly priced watches and leather bags. The idea for Linjer came out of frustration. Jennifer Chong and Roman Khan were fed up with choosing between disposable fast-fashion products and overpriced luxury. So, in 2014, Chong and Khan, then 26 and 29, created Linjer with $20,000 of their savings. Linjer products use premium materials such as Italian leather, Swiss movements and sapphire crystals. All products are crafted with the same supply chain as luxury brands, whose comparable products retail for 2-3x Linjer's prices. Their secret? They operate leanly, sell directly to their customers online, and simply choose not to mark up their products like crazy. Linjer products have functional, descriptive names like “The Chronograph”, and “The Automatic”. The idea, says Chong, is to try to make each product the best in its class. It appears that this approach has been successful. Products across Linjer's collections have won acclaim. Business Insider declared their quartz watches likely the best watches one can buy for under $250. The Wirecutter named Linjer’s Soft Briefcase “Best Leather Briefcase”. Vogue hailed their innovative Tulip Bag a new cult bag in 2017, and a number of celebrities, like Amy Adams and Rashida Jones, have been sighted with their bags. Customers have responded with enthusiasm as well, placing pre-orders in droves for new collections months before they’re released. Their two watch collections have each raised close to $1 million on Kickstarter, with people waiting for 4-5 months to receive their watches. Definitely a brand worth keeping an eye on. OK, so Linjer’s story is absolutely inspiring. But how are their watches? True to its name, The Petite has a small face (30mm), and its profile is elegantly tapered to make the case look even slimmer than it is. If you want a classy (and expensive-looking) watch without the usual bling-bling, this one's for you. 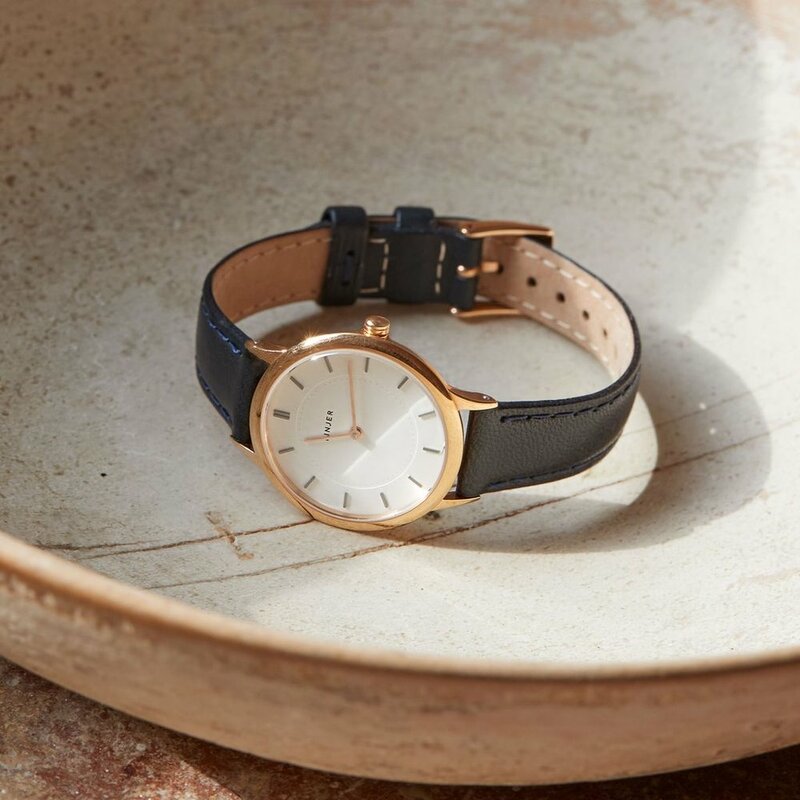 A Linjer bestseller, the brushed rose gold case, dark brown accents, and domed glass set the watch apart from run-of-the-mill minimalist watch alternatives. Available in size 34mm and 38mm, this is a true "designer's watch" with a striking build. This automatic watch is powered by the workhorse ETA 2824-2 movement. We're impressed that Linjer have managed to get the case down to a slim 8.4mm thick. This is unheard of at the sub-$1,000 pricepoint...let alone sub-$500, where thicknesses of 11 or 12mm are more common. 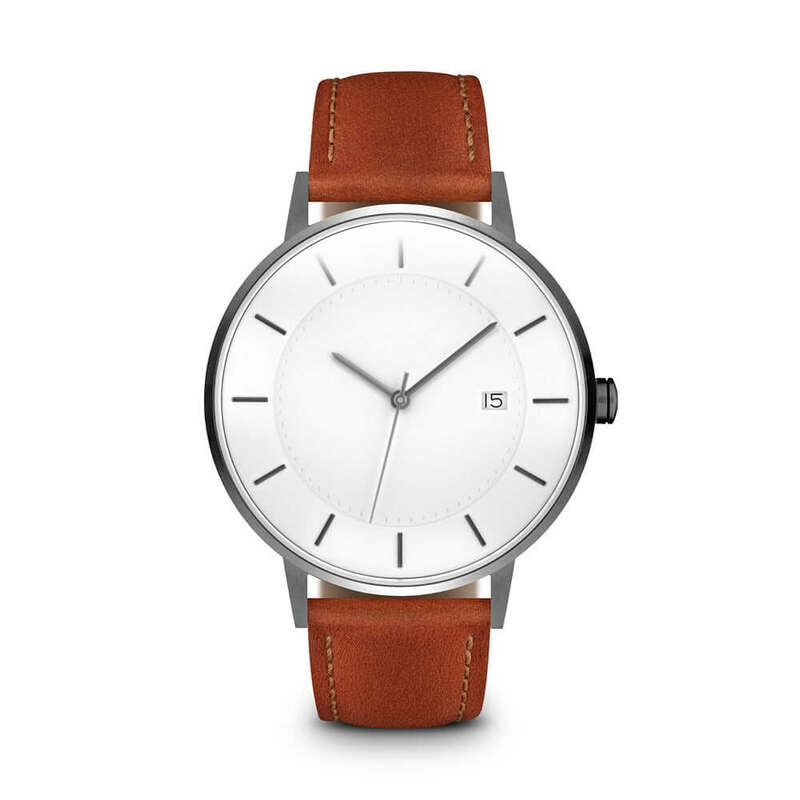 The team at Linjer is offering readers 15% off your first watch order. Receive your voucher by signing up for the Linjer newsletter below. 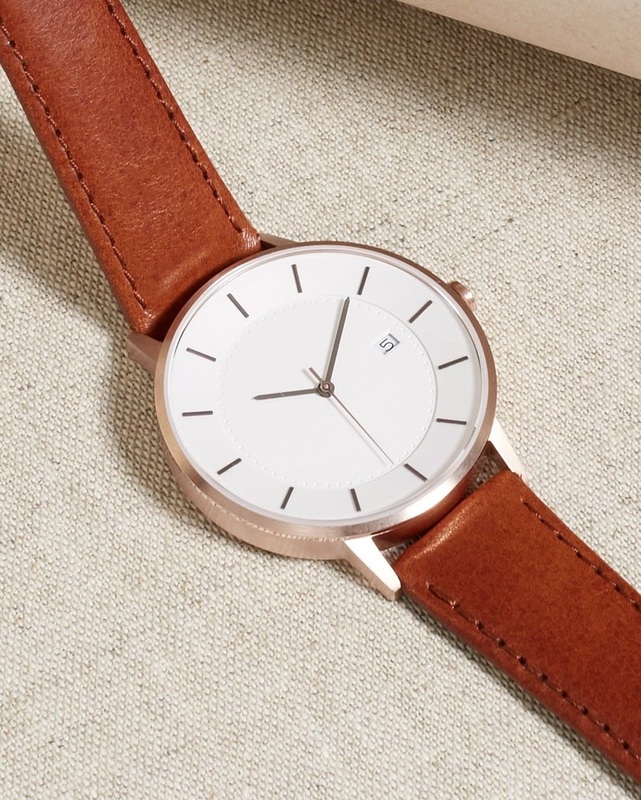 Tasteful design – Careful attention to detail and proportion not seen in many minimalist watches today. Build quality – Domed sapphire crystals, Swiss movements from Ronda and ETA, and Italian full grain vegetable-tanned leather straps. Size options – Men can choose between 38mm and 41mm. Women can choose between 30mm, 34mm and 38mm. Competitive price – At $249 for most styles, these watches are priced extremely competitively given the luxury-standard components and craftsmanship. Linjer offers excellent products at a very appealing price point. The designs are understated, classy, and easy to wear. Lovers of minimalist design are certain to find a style to suit their taste.